It’s easy to fall into a strange Summer cycle – socialising more and going to bed late because the evenings are longer, sleeping poorly because it’s way too hot, waking early (but groggy) because the sun is streaming in, relying on sugar, caffeine or energy drinks to get you through the day. Does any of this sound familiar? Let’s start at the beginning and break it down with some clever ideas to beat the heat and help you sleep. If you’re drinking water throughout the day (trust me, you should be!) then adding a little sachet of goodness is a no-brainer. Balance from Vogel does the trick. 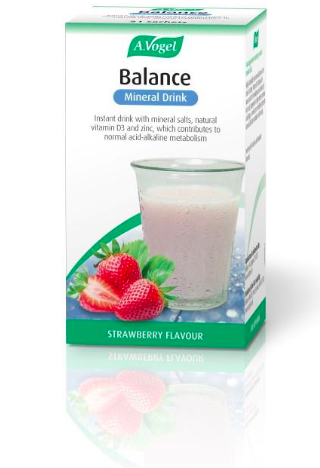 It’s aimed at promoting a healthy acid-alkaline balance, which helps your cells and body perform at their best. Providing minerals to replace those lost when sweating, you also get magnesium which contributes to the reduction of tiredness. Did you know an overly-acidic system is a struggling system, and many of our normal habits actually promote acidity? Like lack of sleep, extra stress, and our diet. For instance, how many BBQs and burgers have you eaten this summer? Well meat, pate, cheese, white refined bread and alcohol all influence our acid-alkaline balance, and make it more acidic. Increasing water, vegetables, fruit, nuts and oils is a step in the right direction, so along with drinking those glasses of water throughout the day, eat plenty of these foods too. Bored of water? Really that’s no excuse – especially when you can flavour it naturally in so many ways. Lemon, lime, cucumber, rosemary are all exciting tastes. 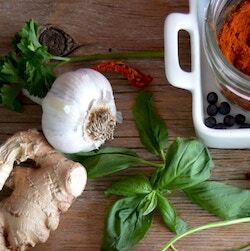 The natural antioxidants in the fresh fruit and herbs are great for the body too. For instance rosmarinic acid in rosemary is both an anti-inflammatory and anti-oxidant. 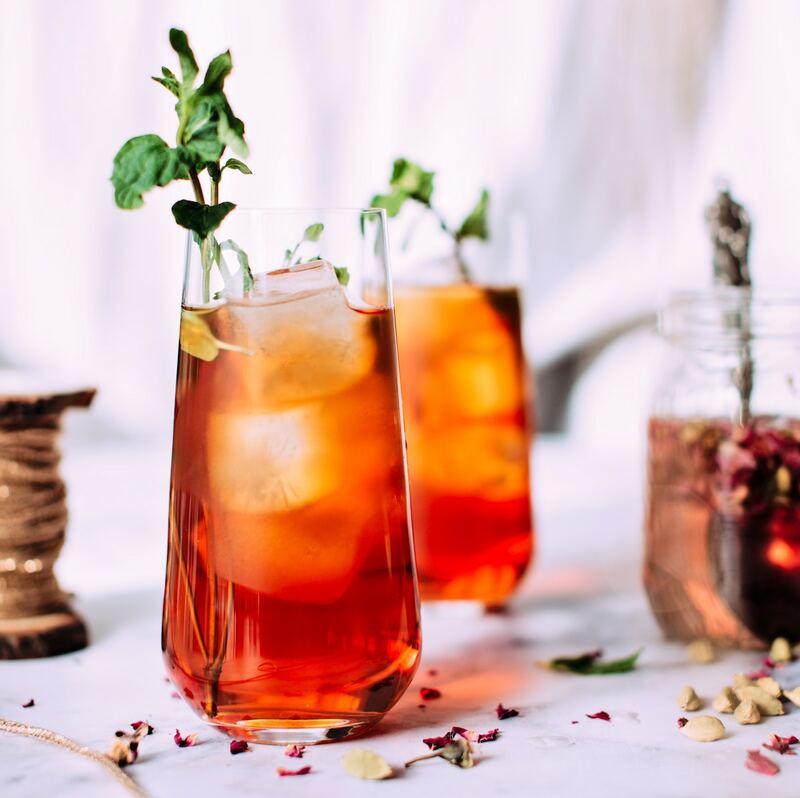 If these don’t tickle your fancy then brew a pot of caffeine-free berry or peppermint tea, then serve over ice and sip away. With their high water content, foods like watermelon, cucumber, celery and melon are obvious choices when you’re struggling to keep your cool. Yogurt, mint, green vegetables and salads are also pretty cooling, which is why they feature in a lot of my summer recipes too. For instance today’s lunch of grillled chicken will be accompanied by a cool mint and cucumber yogurt dressing. But what about spices and heat? Hot curries and spicy dishes are often eaten in hotter countries because they also have a cooling effect. They make you sweat. Profusely. Which is a classic mechanism to regulate body temperature. Think garlic, ginger, onion and a pinch of chili. Guess what my chicken has been marinaded in? Taking time to unwind before bed is a good idea, particularly if your day has been pretty hectic. This is where a glass of cherry juice comes into play. Montmorency cherries are more tart or sour, in contrast to the sweeter Morello cherries we normally find on sale. Sour cherries are rich in antioxidants and a source of plant melatonin. Humans naturally produce melatonin which not only regulates our sleep-wake cycle but, due to its high antioxidant activity, also contributes to us waking feeling refreshed. 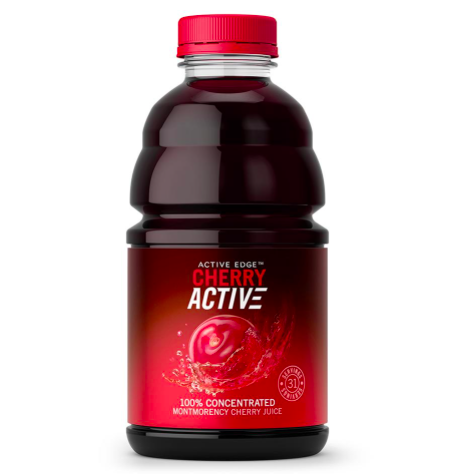 Studies suggest drinking sour cherry juice has the same effect on our sleep cycle – improving both time spent asleep, and sleep efficiency. In one study of insomniacs, participants drinking 240ml of juice in the morning, and another glass 1-2 hours before bed, slept an extra 84 minutes each night! Sounds like it’s time to swap your sun-downers and night caps for a glass of cherry juice. Apparently this is an old army trick for when you’re feeling hot hot HOT, but you want to sleep sleep SLEEP. Tried and tested over the last few weeks, it works a treat, and makes perfect sense. Having a large surface area, low muscle mass, and a specialised network of vessels that can quickly circulate significant volumes of blood, our feet are perfectly designed to quickly offload heat. Wearing wet socks helps speed up this process, so even if your room is airless and stuffy, you’ll soon feel cool enough to actually fall asleep. Simply run your socks under the cold tap, and wring out the excess water before putting them on. A towel on the bed keeps your mattress dry. Howatson et al (2012) Effect of tart cherry juice (Prunus cerasus) on melatonin levels and enhanced sleep quality. Losso et al (2018) Pilot Study of the Tart Cherry Juice for the Treatment of Insomnia and Investigation of Mechanisms. It’s always lovely to hear your comments and share a tasty tip for others in the Nutrition with Nina community. So, what’s your tried and tested method for getting some decent shut eye on a hot Summer’s night?